If you are looking forward to decorate your beautiful hands with something amazing made by you, then you are at the right place. Here you will find some of the best ideas for making 18 Fancy DIY Beaded Charm Bracelet Tutorials. Watch the tutorials carefully and try following the instructions to make some masterpieces. The first is the DIY fusion bead cuff which is actually a fusion of colorful beads and some black laces. The next is a simple kind of metal beaded bracelet made very easily with some metal beads and colorful threads and they are perfect for a friendship band. Now it’s time for some tassels so here is a tassel and beads combination which is neat and looks elegant. 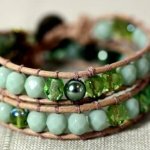 These are some unusual DIY shamballa style bracelets which are easier to make than most of the other DIY bracelets but they are equally trendy as well. Also try adding some funky and creepy stuff to your bracelets as you can see here a skull wrap bracelet perfect for Halloweens. These chain bracelets with pearl beads are especially for the brides so all of you brides to be, watch out this, as they are so trendy and classic and look great on special and formal occasions such as your big day. There are some other friendship bracelets tutorials as well such as the noodle bead bracelet with sliding knot bracelet, Hama beads bracelets, and spinal bracelets in beautiful hombre color, macramé bracelet and some other stylish and different kinds of DIY charm bracelets. So watch the tutorials and try making these amazing bracelets to add some spice to your jewelry collection. 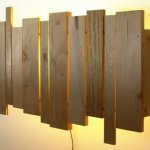 However these ideas are so cool to handle alone so enjoy these projects with your friends this weekend.